Aleene's® Permanent Fabric Glue 4 oz. 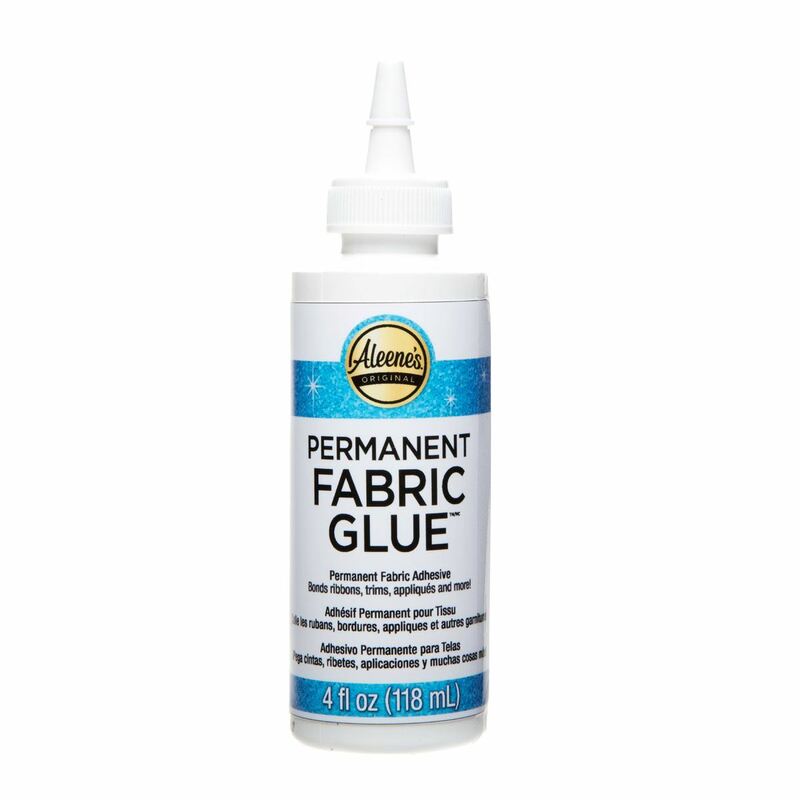 This all-purpose fabric glue is great for permanently adhering glitter, trims and other embellishments to fabric! It dries clear and flexible - and works on most fabrics, making it ideal for costumes - clothing, decor and more. Comes in a 4 fl. oz. bottle. 1. Prewash and dry fabric without fabric softener. 2. Apply glue to surface and let set 3 to 5 minutes. Press onto fabric and let dry 24 hours. May have a wet appearance on some fabrics. 3. Wait 7 to 10 days before washing. Turn inside out: wash on gentle cycle; air dry. Do not dry clean. 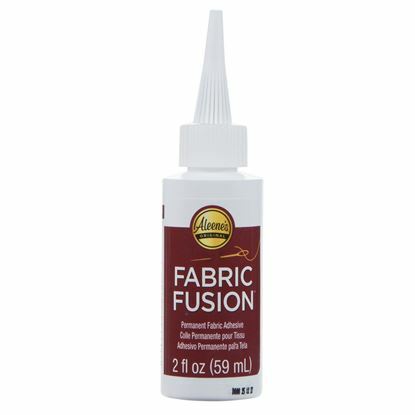 Aleene's® Fabric Fusion® Permanent Fabric Adhesive 2 fl. oz.